The divorce and the drama continue. Bravo just released a full preview for the second season of its original series, Girlfriends’ Guide to Divorce, which premieres on December 1st. 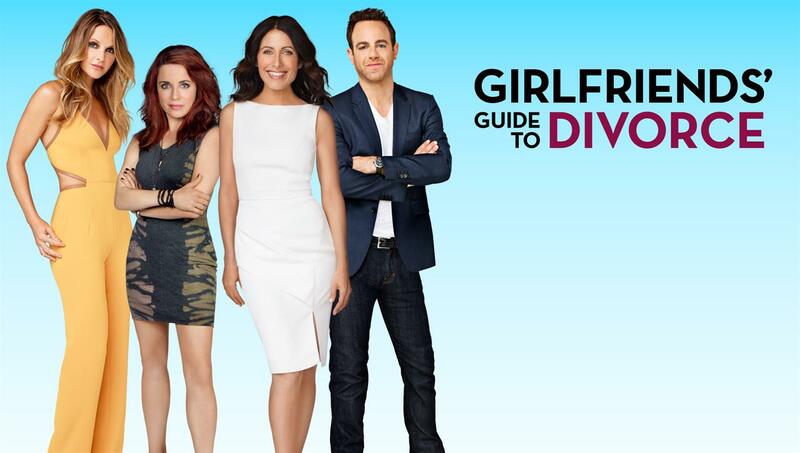 Based on Vicki Iovine’s Girlfriends’ Guides series, the show is Bravo’s first foray into original scripted content. The series follows Abby McCarthy, a successful self-help author who is dealing with a divorce after 17 years of marriage. Along with her friends and colleagues, she navigates the murky waters of being single and over 40. From the trailer, it looks like season two promises plenty more of the three D’s: drama, dating, and divorce. Season two premieres on Bravo on December 1st at 10 p.m.
What do you think? Do you watch Girlfriends’ Guide to Divorce? What would you like to see happen in season two? More about: Bravo TV shows: canceled or renewed?, Girlfriends' Guide to Divorce, Girlfriends' Guide to Divorce: canceled or renewed?